Cincinnati, Ohio — Families in two Ohio cities will have more access to high-quality early childhood education, thanks in great part to StrivePartnership in Cincinnati and Learn to Earn Dayton. Issue 44 in Cincinnati and Issue 9 in Dayton are ballot initiatives whose passage this week reflect the growing political support for more high-quality preschool to ensure children have every opportunity to arrive in kindergarten on target developmentally. Both communities are members of the national StriveTogether Cradle to Career Network, which focuses on helping community partners use local data to identify and build on what works for children and youth. Issue 44, also known as the Cincinnati Preschool Promise and Cincinnati Public Schools levy, will generate $48 million in revenue for schools, with $15 million going toward making two years of preschool available and affordable to every 3- and 4-year-old in the city. This levy also will connect quality preschool with a strong K-3 early literacy program to ensure all students are competent readers by fourth grade. The initiative’s backers estimate the early education expansion will affect 6,000 children in the city of nearly 300,000. 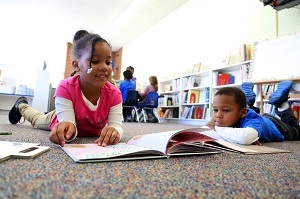 StrivePartnership, a StriveTogether Network member in Cincinnati and Northern Kentucky, worked with United Way Success By 6 to understand and define high-quality early learning opportunities that helped build the case for the levy. Cincinnati’s referendum also had the support of a broad array of community stakeholders engaged in the Partnership, including Cincinnati Public Schools, large labor unions and top business groups like the Cincinnati USA Regional Chamber of Commerce. Issue 9, the early childhood education referendum in Dayton and the city’s first income tax increase in 32 years, will raise $4.3 million in revenue for expanded preschool access. The funds will support income-based preschool tuition for up to 1,900 4-year-olds in the city, with the hope of taking this assistance countywide in the near future. Officials have said the expansion will amount to universal preschool — an effort that began in 2007 when Montgomery County leaders and parents formed ReadySetSoar to improve kindergarten readiness and third-grade reading proficiency among local youth. ReadySetSoar is an initiative of Learn to Earn Dayton, the broader partnership engaged in the StriveTogether Cradle to Career Network. National research confirms what both communities found through local analytics: investments in quality preschool improve educational outcomes. For example, the national Early Childhood Longitudinal Study program shows that students who attended a preschool program scored higher on reading and math tests than children who received parental care. Studies also show a reduced use of special education services among preschool participants, leading to cost savings for school districts and the government, according to the Center for Public Education. Yet preschool remains expensive for most American families. Child care costs for a 4-year-old is more than in-state public college tuition in nearly half of states, according to a study by the Economic Policy Institute. Government programs subsidizing or providing preschool education have become a national priority. StriveTogether works with communities nationwide to build the capability of leaders and practitioners across sectors to create a civic infrastructure around shared goals, measures and results in education, supporting the success of every child, cradle to career. Communities implementing the StriveTogether framework have seen dramatic improvements in kindergarten readiness, academic outcomes and post-secondary success. The StriveTogether network of 69 partnerships consists of more than 10,200 organizations, reaches more than 8.2 million students and operates in 32 states and Washington, D.C. Founded in 2006, StrivePartnership unites leaders from various sectors to support every child, every step of the way, cradle to career in the urban core of Greater Cincinnati. The partnership improves student outcomes through: Engaging and empowering leaders; Using actionable data and continuous improvement; Aligning resources to what works; Pursuing local and institutional policy change; and Advocating for equity at all levels of the system. Learn to Earn Dayton’s charge is to assure that all of Greater Dayton’s children are ready to learn when they enter kindergarten and ready to earn when they graduate from college or other post-secondary institution. Ultimately, the goal is to have 60 percent of the workforce ages 25 to 64 with a marketable post-secondary credential by 2025. Learn to Earn Dayton is part of StriveTogether’s national network of organizations dedicated to increasing the number of young people who have college degrees or a credential certifying that they have a skill.